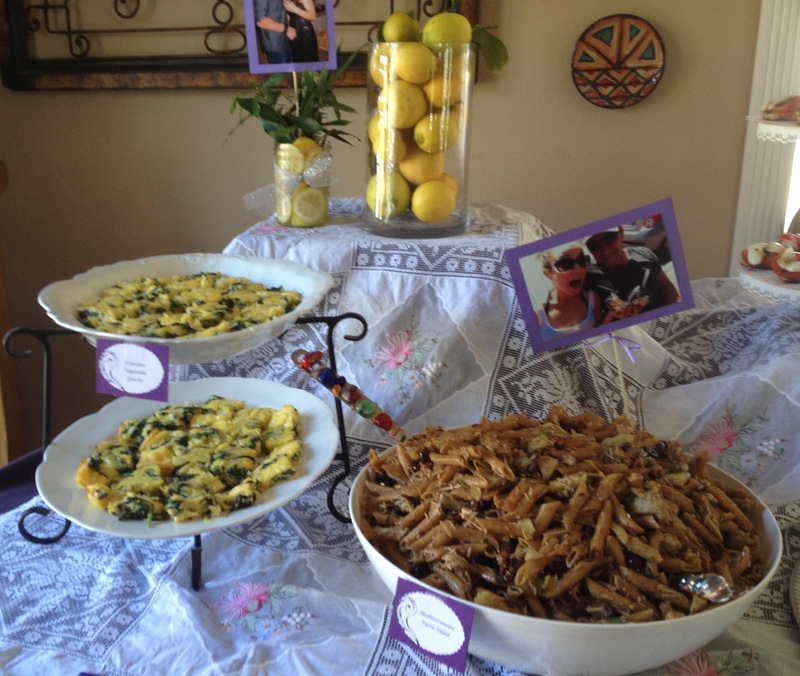 Crustless Egg Quiche and Mediterranean Pasta Salad. Labeled each with placecards I bought at Michaels & added wedding color. 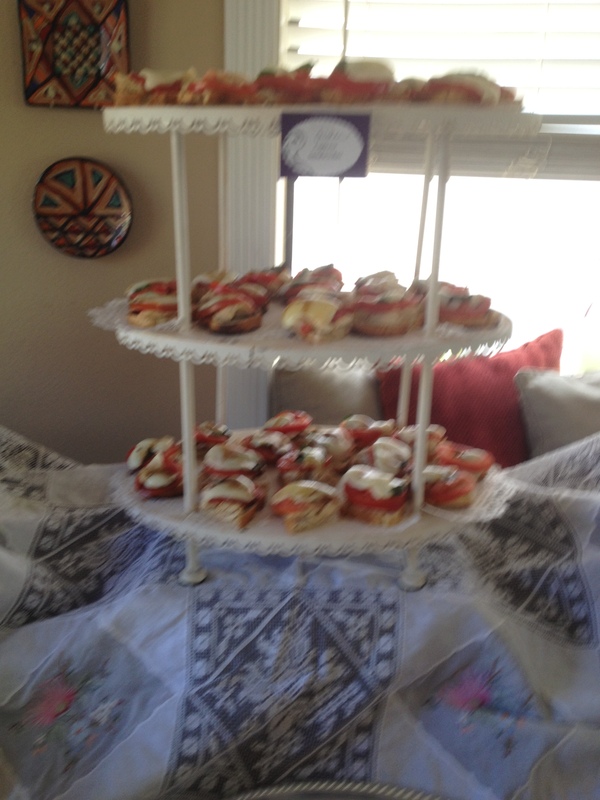 Caprese Sandwiches, unfortunately only got one poor photo of these yummies. They were individual sliced baguettes open faced with slices of tomato, basil and fontina cheese melted under broiler with a drizzle of balsamic vinegar reduction on top. 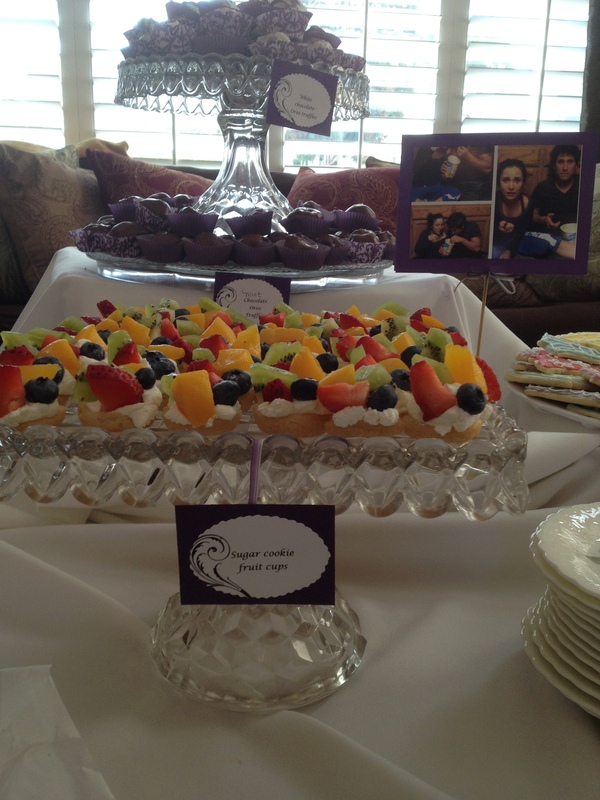 Dessert table consisted of some antique crystal cake plates stacked on top of each other for height and I needed a large platter for the cookies. All I had was an ugly pizza tray! 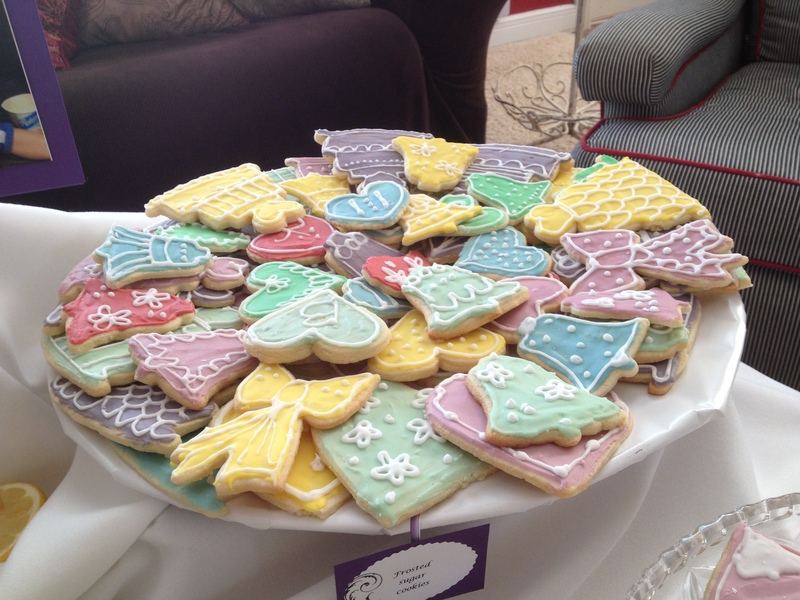 I covered it in white wrapping paper, and wa-lah… a platter for beautiful cookies. 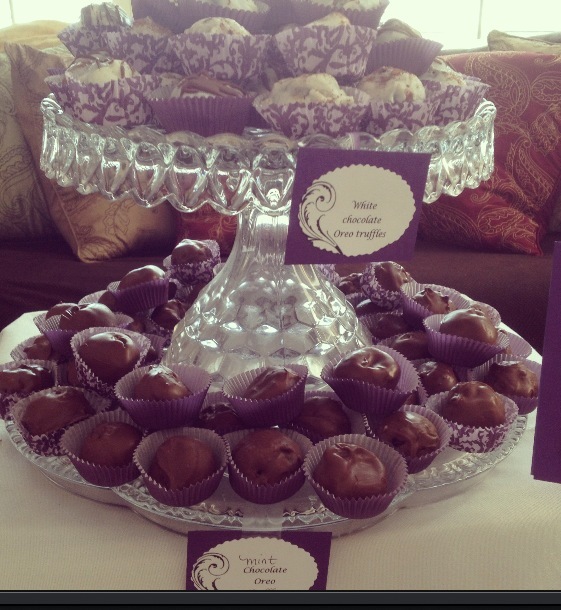 Truffles were made with white chocolate and milk chocolate. Oreo cookie recipe. I will post later, super duper easy! 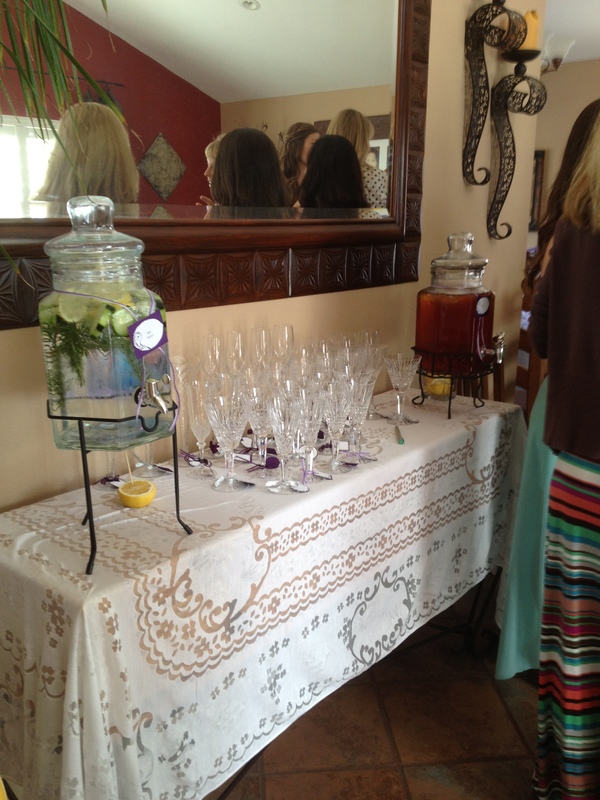 Beverage station with iced tea and spa water with crystal and glass wine and champagne glasses with tags for each girl to put her name on. 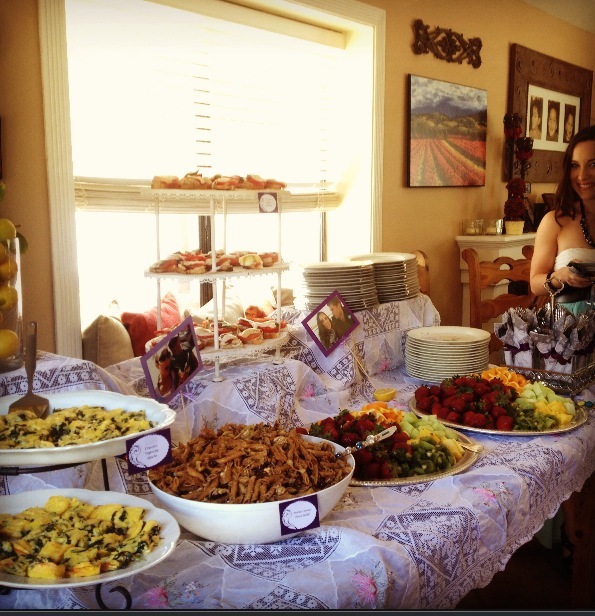 I had mother of bride contribute her glasses with mine, and we had enough for a pretty table. 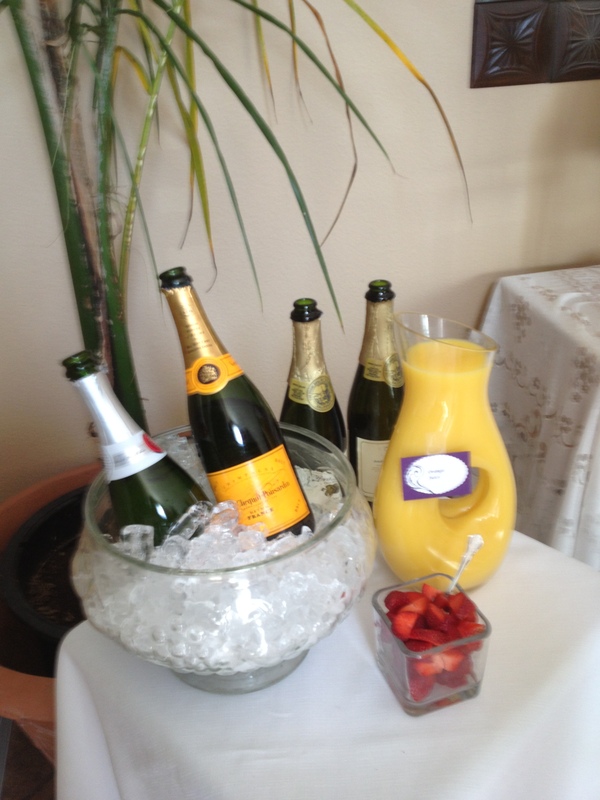 Mimosa station with champagne and orange juice with fresh strawberries. 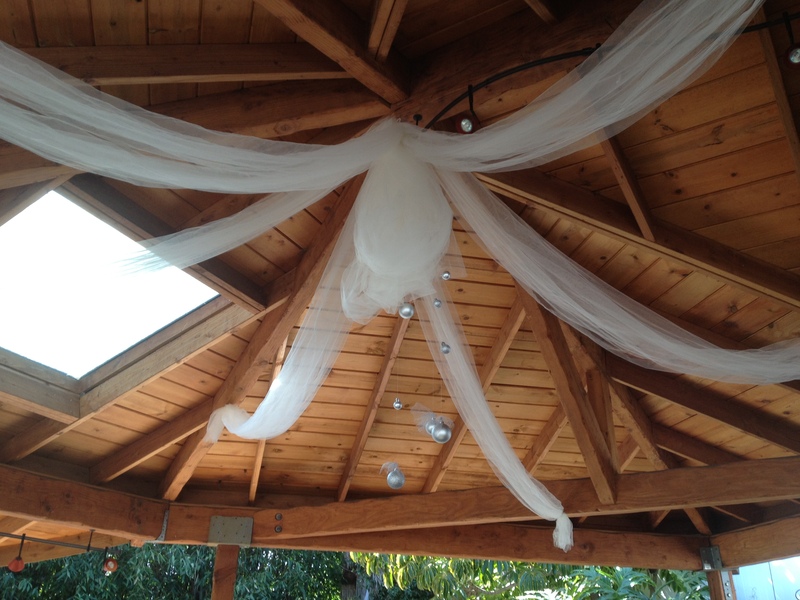 A little tulle goes a long way, nothing says “wedding” like tulle. I really needed to soften my patio structure and this did the trick. 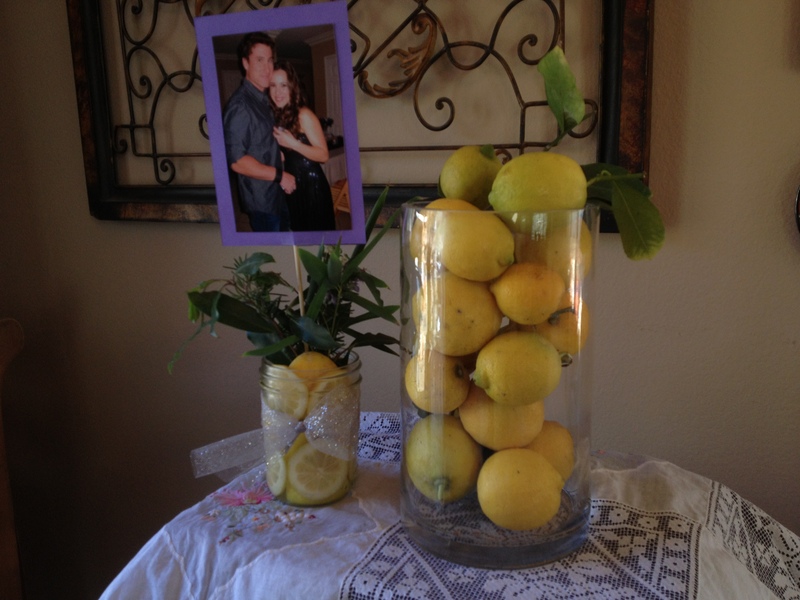 Since the bride is not a big fan of flowers and she happens to be having her wedding and reception outdoors at a lemon packing plant, I decided to use lemons to decorate the tables. We had a number of these on tables throughout with pictures of the bride and groom sitting in the center of arrangement. 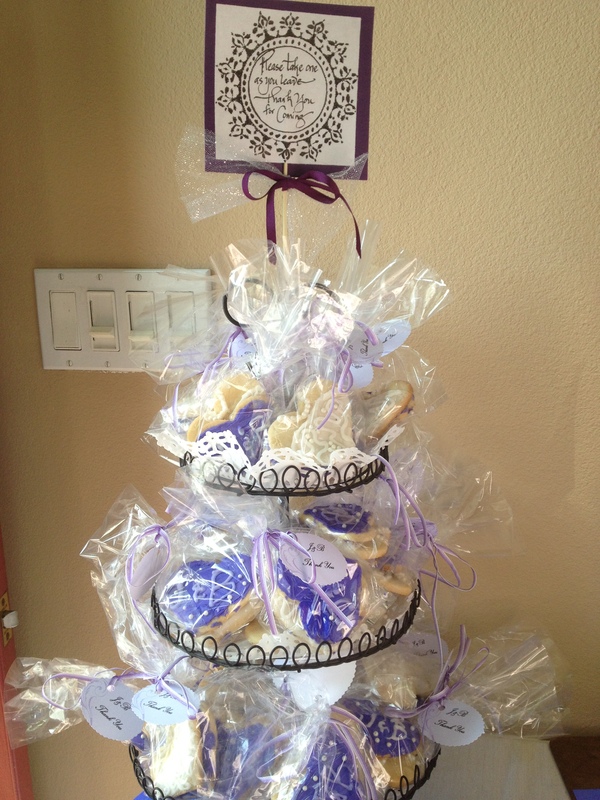 Goodie bags for guests as they leave with a thank you note from the bride and groom.